The special edition will be without certain features, namely the HID headlights, premium audio, climate control and automatic. This is not just a bunch of content, although as the car comes with the model Spec C suspension in Japan, which includes a rear stabilizer bar thicker, stiffer springs and rigid rings. 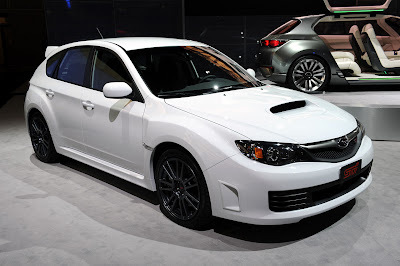 Initially, each car will be painted white with Aspen charcoal colored 14-spoke wheels also copied from the spec C. Only 125 copies will be built in the first quarter of 2010, while Subaru said others will be available later in the years to other colors. High-res gallery below, press release available after the jump in prices. 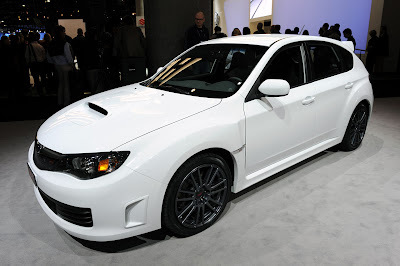 All other aspects of the special edition WRX STI remains the standard model, including the HP 305 / 290 Nm 2.5 liter turbocharged Subaru Boxer engine 6-speed manual transmission and a high level of driver-selectable powertrain and handling dynamic control systems. Swollen wings of the car and rear side panels, rear door-mounted spoiler and aerodynamic ground effects give the WRX STI a direct link with racing cars Subaru. The hood scoop, brake cooling air intakes and engine heat outlets are all functional. 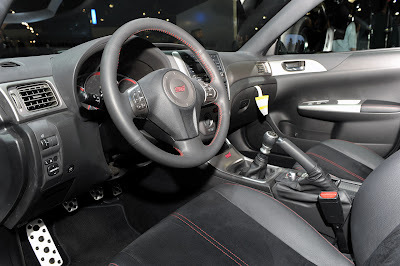 The driver controlled center differential (DCCD) version of Symmetrical All-Wheel Drive, which remains exclusive to the Impreza WRX STI offers three modes selectable automatic performance in addition to the center differential lock six manual settings. 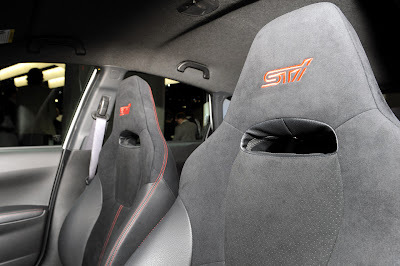 The WRX STI is equipped with limited slip front and rear. The Vehicle Dynamic Control (VDC) stability system and traction control has three positions selectable drivers. 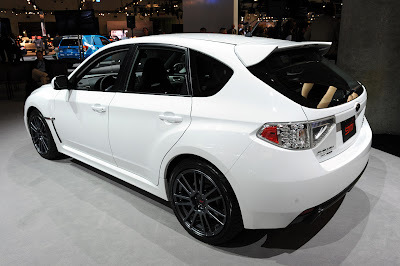 On all models, WRX STI, the 18-in. wheels are equipped with Dunlop SP600 245/40R18 performance summer tires. The brake system uses ventilated Brembo Performance 4-wheel Super Sport anti-lock (ABS), brake disc Electronic Brake Distribution (EBD). Side-curtain airbags and front airbags are standard side seat. Incline Start Assist feature can momentarily prevent the vehicle from rolling backward after being ejected from a stop on an incline.